This is what they must do according the literature standards of the Common Core (RL.3.2). One of the more difficult aspects of this standard is recounting or retelling. Students must be explicitly taught to retell. It does not come naturally to children (with some exceptions of course!). Most children will not retell a story in sequence, name the characters, setting or problem and tend to exclude the important events or include minute details that are not necessary. Click to READ MORE below to see the entire post. I usually start with the myth of Prometheus, who brought fire to the people. Then I read Pandora’s Box and Kind Midas. Demi has a beautiful version of King Midas which I highly recommend. Most of the myths I read come from this excellent Usborne resource called Usborne Greek Myths for Children. 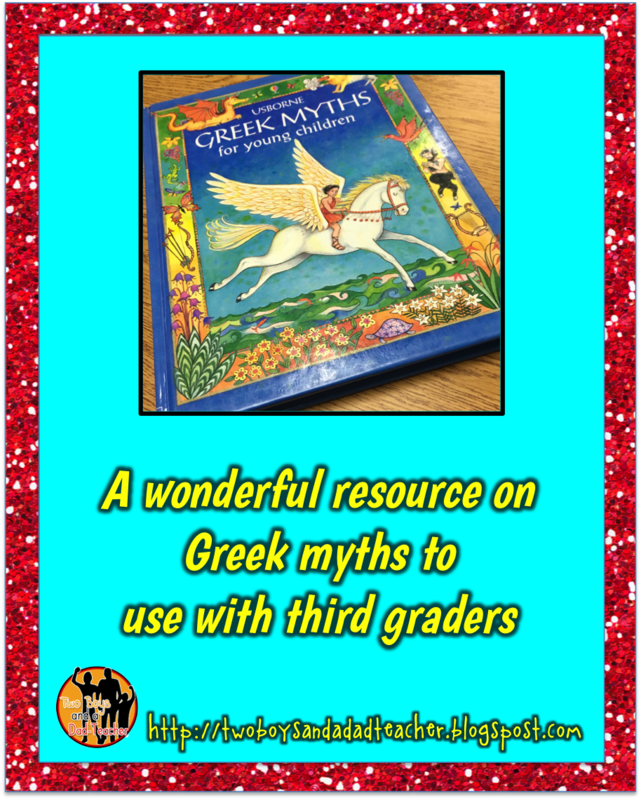 It contains all the Greek myths and are written in a child friendly way. One book I just recently found, is by Gerald McDermott: Daughter of Earth. 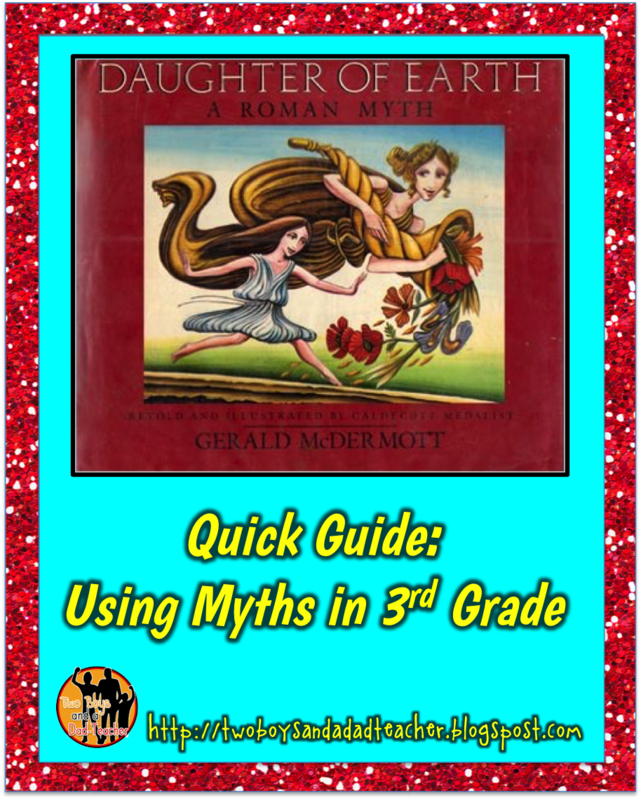 I’m a big McDermott fan and recently discovered this book and another myth he wrote: Sun Flight, which is the story of Daedalus and Icarus. Daughter of Earth is the Roman version of the myth of Demeter and Persephone. If you are not familiar with the myth, Demeter is the goddess of the crops. Without her nothing grows. 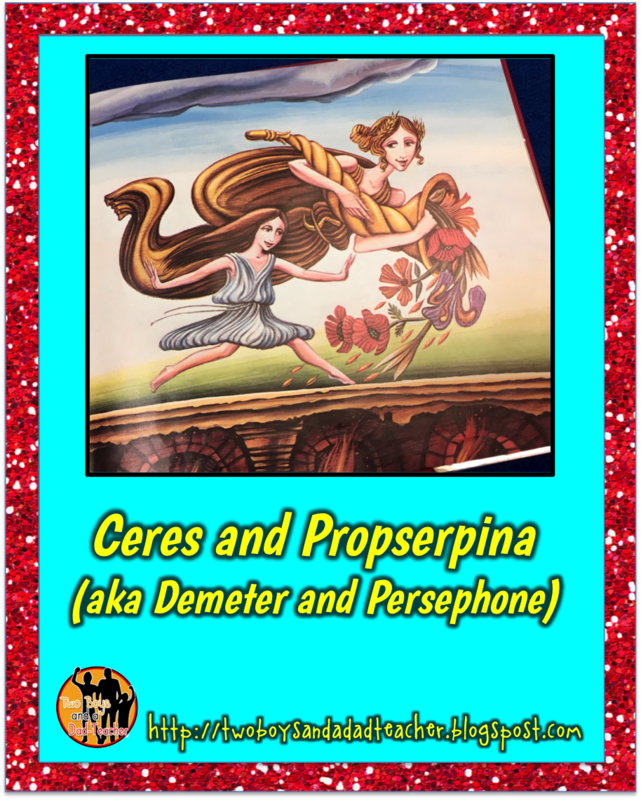 Her daughter Persephone is seized by the god of the Underworld, Hades. Demeter is angry then depressed and the entire world grows cold and nothing grows. 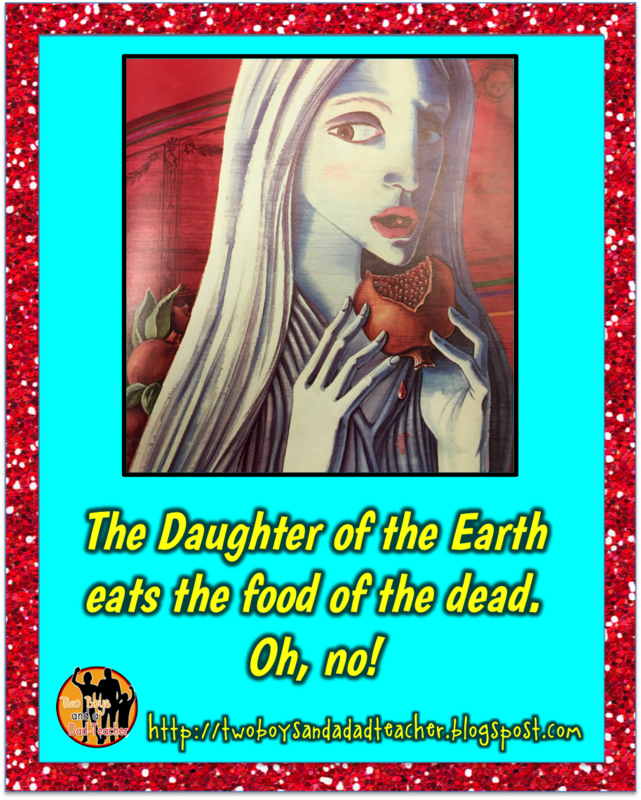 Eventually, Persephone is allowed to return to her mother but only for part of the year because she had eaten the food of the dead (which apparently is a big no-no in the Underworld). The time she is with her mother, Demeter, the all the plants on Earth grow. The time she has to return to Hades and the Underworld, the Earth is cold and nothing grows. The Greeks created this myth to explain the seasons. The Roman version is the same story (remember that the Romans conquered the Greeks…which makes for a great mini-history lesson on ancient empires), but the names of gods and goddesses have been changed, since the Romans adopted a lot of the Greek culture. 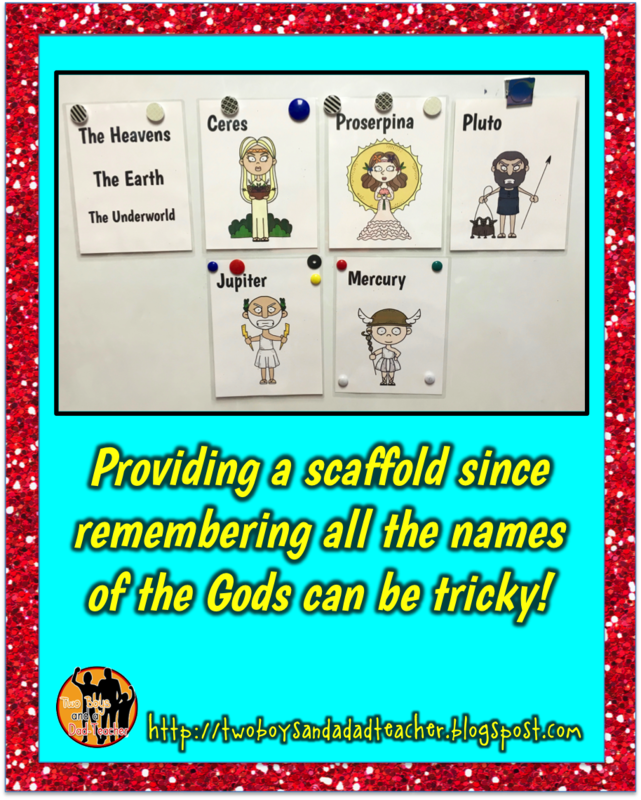 That can be confusing so I created some mini-posters with the characters and their names to put up while I read the story and the students took notes. Take notes on a story? Yes! I recently went to a 2 day workshop on daily differentiation. 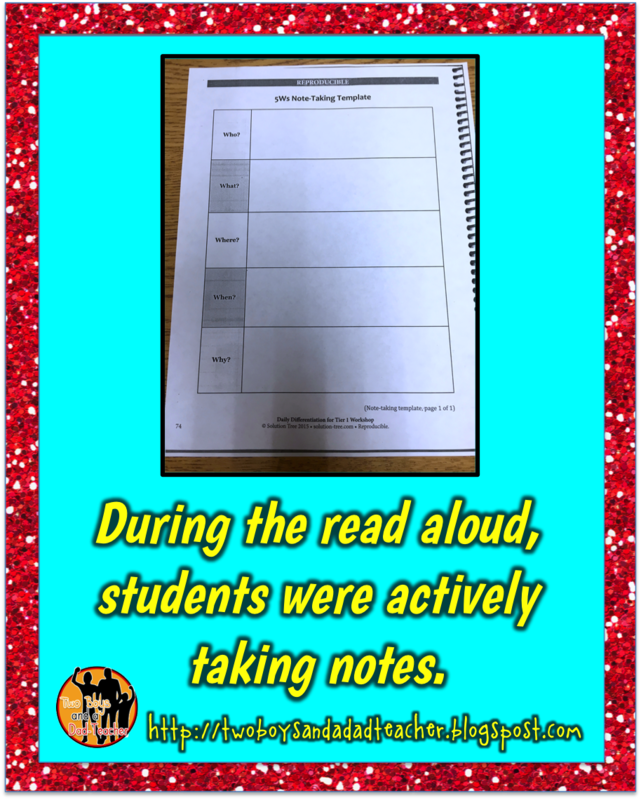 One of the strategies mentioned for student engagement was to use a graphic organizer to take notes (the 5 Ws of Who, What, When, Where, Why). Another standard that is related is RL.3.1(Ask and answer questions to demonstrate understanding of a text, referring explicitly to the text as the basis for the answers.) and this was a great way to practice this standard as well. As I read aloud the story, I would ask along the way: What question could be answered by what we just read? Eventually, the form was completely filled out and ready to use for retelling. 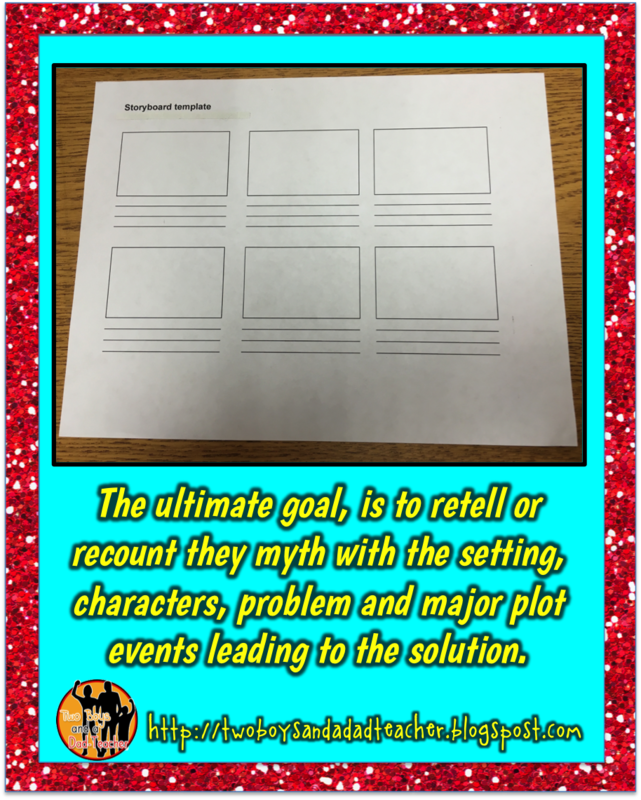 With retelling, students really need to focus on identifying and NAMING the characters by name, identifying the setting (time and place) and stating the problem. Then in sequence name 2-4 important plot events that lead to a solution. Finally, recount the ending of the story. 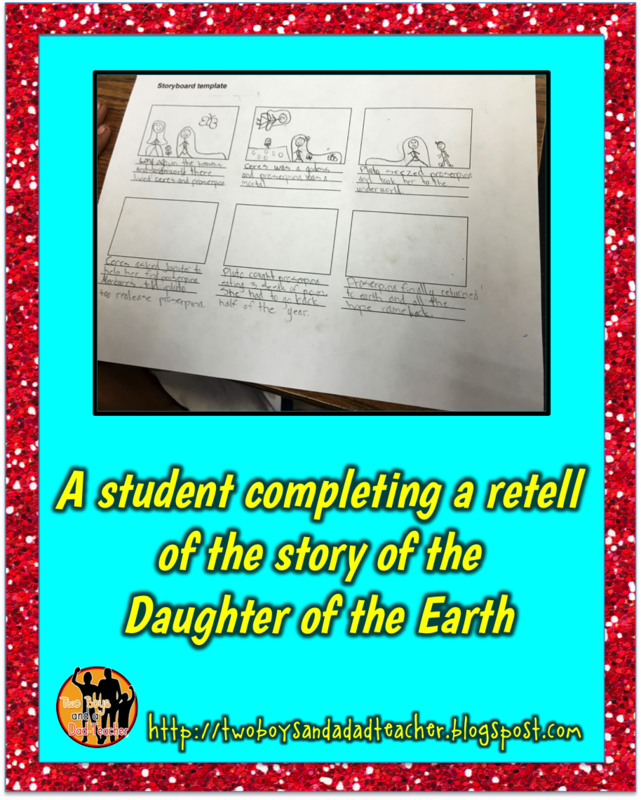 I found a free storyboard template online from the BBC that is used to make a storyboard for a film, but I used it to have my students retell the story of the Daughter of Earth. Any template you use would work just as well. The point is to use the information from the notes to write a written retell. The students can also add illustrations as well (which addresses the standard RL.3.7 Explain how specific aspects of a text’s illustrations contribute to what is conveyed by the words in a story (e.g., create mood, emphasize aspects of a character or setting). By the way, I use a lot of Gerald McDermott stories (see my previous post) and one thing the students noticed right away is that his style of drawing was very different in this story compared to stories like Coyote and Raven. My students are getting very good at discerning how the illustrations add to the story! The Folktale Unit is one of my favorites. When you think about how these stories STILL influence our culture (Percy Jackson, Hercules, Troy, etc. ), we would be doing a disservice if we DID NOT read these stories to our students.